When you need cosmetic surgery, reconstructive plastic surgery or another aesthetic cosmetic treatment from a doctor in Greenwood or Greenville, South Carolina, you can visit many state-licensed physicians. But for the confidence that you will achieve the best possible aesthetic result in the hands of an experienced and capable plastic surgeon, look for Board Certification from American Board of Plastic Surgery (ABPS), which is a division of the American Board of Surgery and requires comprehensive written and oral exams specifically related to plastic surgery technique and expertise. Many doctors say they're "Board Certified." That may not mean they underwent the rigorous evaluation conducted by the ABPS. You deserve the best cosmetic surgery care and results. That’s why you should contact Piedmont Plastic Surgery online or by telephone to schedule a consultation with ABPS Board Certified South Carolina Plastic Surgeon Dr. Ted Vaughn: 864-223-0505. At Piedmont, you can be sure that everyone on staff is properly credentialed, including our nurses and surgical techs. What's more, our state-of-the-art, in-office surgical suite is backed by the American Association for the Accreditation of Ambulatory Surgical Facilities (AAAASF). That means we heed the highest standards in patient care and safety. 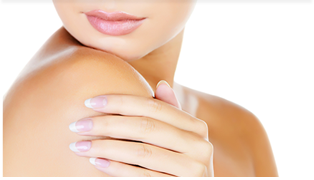 When you choose an APBS Board Certified South Carolina Plastic Surgeon, you know that your doctor has extensive medical and surgical education along with clinical experience. When your doctor keeps up professional certifications and memberships like Dr. Vaughn at Piedmont Plastic Surgery in Greenwood, you also can be sure that he remains current on best practices from office procedure to the specifics of patient care. With an ABPS-certified plastic surgeon, you can be sure of the following three standards. Board Certification Promise No. 1: Your Board Certified Plastic Surgeon is a trained specialist in face and body procedures. Board Certification means your doctor completed at least five years of surgical training after medical school along with at least one residency program. Board Certification Promise No. 2: Your Board Certified Plastic Surgeon knows how to prevent, and when necessary, manage emergencies. There is some degree of risk associated with any medical procedure, but your doctor has extensive knowledge of anatomy and physiology, and can expertly enable you to avoid or manage these risks. Board Certification Promise No. 3: Your Board Certified Plastic Surgeon has both procedural skill and cosmetic judgment, and has access to an array of interdisciplinary medical tools and resources. All of this adds up to your best chance of achieving a great plastic surgery outcome. When you’re ready take a positive step toward looking and feeling your best with help from a Board Certified South Carolina Plastic Surgeon, contact Piedmont Plastic Surgery in Greenwood online or by telephone to schedule your consultation with Dr. Vaughn.